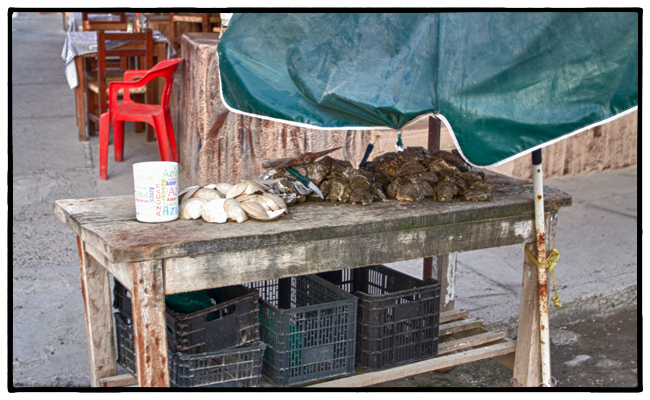 no it wouldnt be the oysters…. someone like you should know better than to eat lettuce in a restaurant in Mexico… it wont do it every time, but it has by far the highest risk of doing it compared to other food you might eat in Jalisco. I think Ryan is probably right. I always forget about the salad at restaurants. Wonderful way to lose a few pounds. Bet you won’t be forgetting to skip the salad again for awhile! Hope everything works out ok.